Many years ago, Antonio Seghetti saw that the super-freak population were moving in on the territory of the Mafia. He had a suit of armor build for him and became OverLord and formed the Vicious Circle but that was twenty years ago. In the present, the armor drifts in orbit above the Earth until it is drawn back down to the planet below. It impacts inside a Chicago building where police officers recover the item and take it back to their precinct. A practical joke is planned on Dragon who is just returning to the Chicago Police Department. 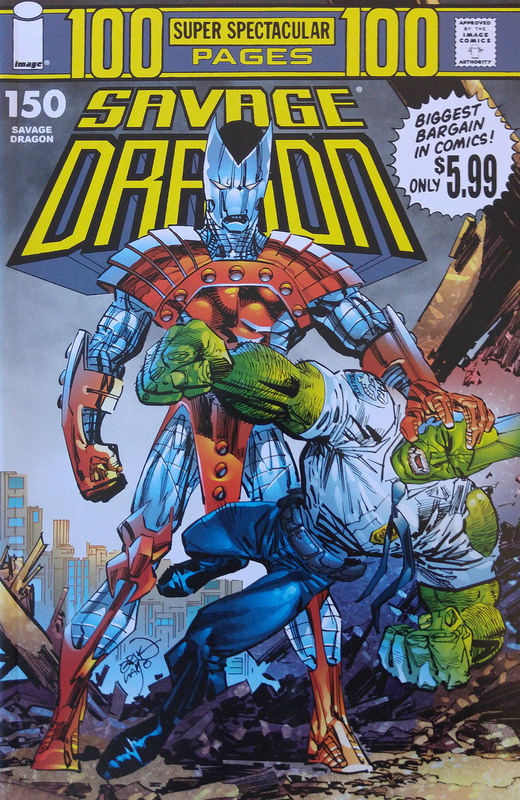 The armor is put into a pose to make it look as though someone inside and Ray Wong went to get Dragon to tell him about his memento from the past. The armor suddenly activated and unleashed its photon blast which annihilated the precinct and killed everyone inside except Dragon. The OverLord armor blasted out of the explosion before being drawn via remote control to a makeshift laboratory that serves as the headquarters for Octopus and OpenFace. They seek to use the armor as a means of ruling over the Vicious Circle from afar by using OverLord as their proxy but first they must carry out some repairs. Six months later. Dragon defeats the villain Killer Commando, failing to learn from him the location of the missing Dart. The fugitive assassin awakens in the clubhouse of Daredevil and the Little Wise Guys where it is explained that she had been found face down in sewer water. 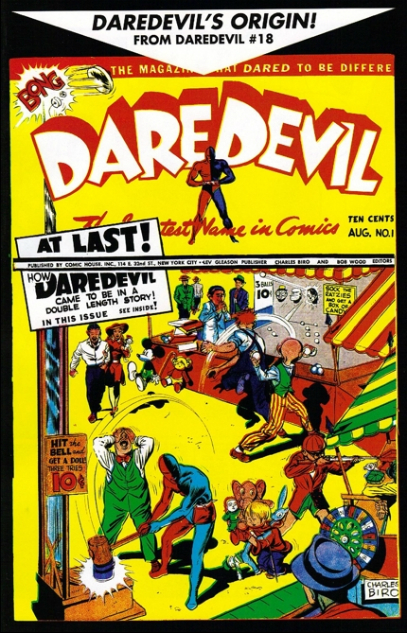 Daredevil attempts to learn more about how she came to be in her current state but Dart claims to know nothing about her identity or possess any memories of her past. 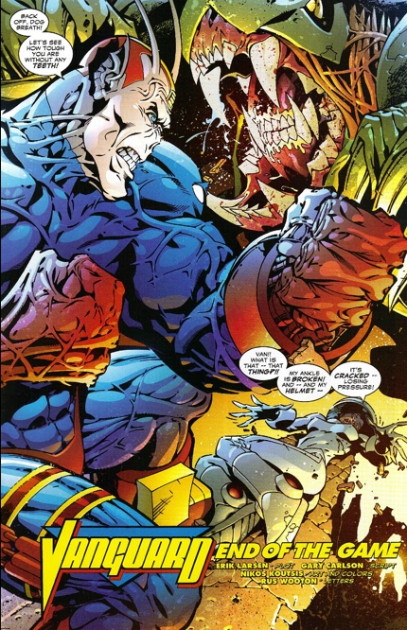 Dataman is brought in to assist Octopus and OpenFace with the repairs to the stolen armor and reveal how they survived their apparent deaths. When the Vicious Circle had insisted that they eliminated Dragon, the duo sought to regain their freedom. They used a holographic projection to help fake their own deaths so that they could continue their research. Dataman helps eliminate the armor’s failsafe systems and to augment its abilities. The trio seeks to make it so that the armor possesses a more fluid motion so that it appears that someone is inside it. The publisher of the Chicago Voice returns to his vendetta against Dragon by appearing on television. 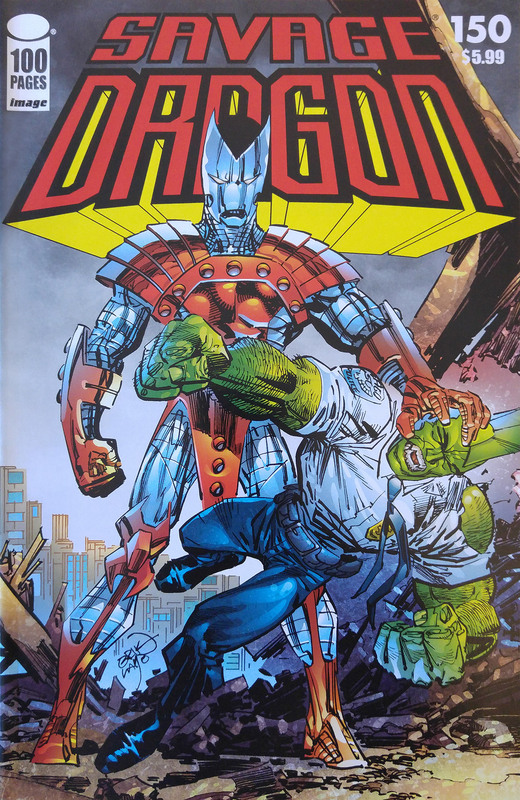 R. Richard Richards notes how Dragon was killed before a monster took on his identity, meaning that the city’s supposed protector is actually a mass murderer. Malcolm and Angel witness this broadcast just before Dragon returns home. 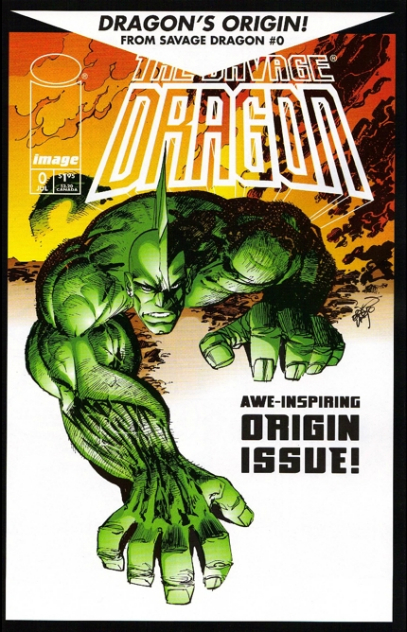 They confront him over the claims that he is an imposter and he admits that this story is indeed true but Dragon feels no different to how he did before the incident. Octopus and OpenFace are shocked unconscious as a shadowed figure takes possession of the armor and claims it as his own. Dataman had betrayed his colleagues and assures the new OverLord that there will be chance of outside influences taking control of the armor again. This is a relief to the man who states that he is actually somewhat more vulnerable in this form. Dataman is then blasted by OverLord so that his secret identity cannot be leaked out. OverLord then destroys the laboratory before departing, noting that Octopus and OpenFace managed to survive the explosions. Dragon takes his children to Rex Dexter’s laboratory where he shows them his desiccated original body that is being kept in suspended animation. It is thought that this corpse should be stored in case spares parts are required and to prevent it falling into the hands of their enemies. If any memories can be extracted from the remains of Dragon’s brain then his allies’ secrets could be in jeopardy. 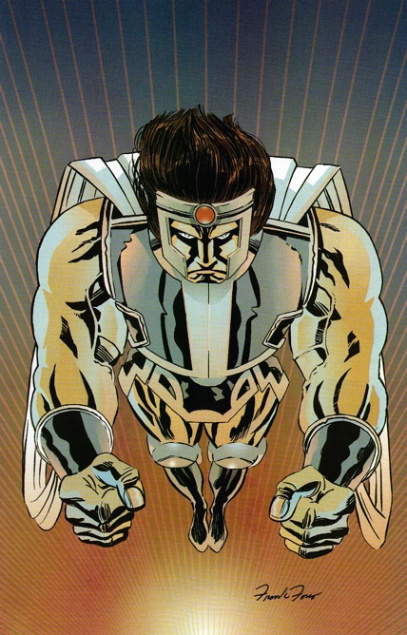 His healing factor could also be copied, creating an invincible army. OverLord raids the Freak Outpost and forces one of the super-freaks present to reveal the location of the Vicious Circle’s current leader. 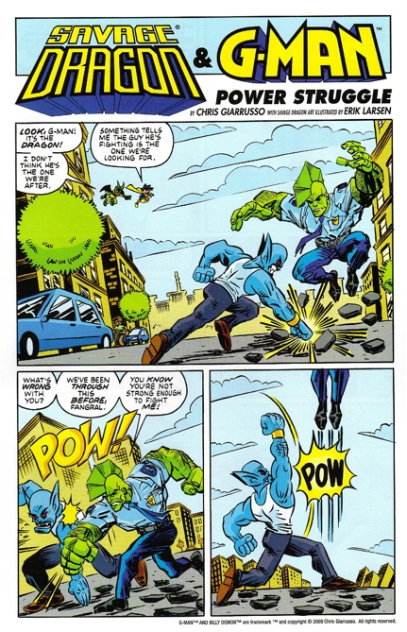 He then confronts Buster Justice to claim the leadership role, leading to a brief moment of violence. Buster backs down and offers to serve OverLord but is killed to prevent a rebellion from ever occurring. The Vicious Circle is then told that their name is redundant and that the criminal organization requires a drastic overhaul. At the Chicago Police Department, news of trouble breaking out reaches Dragon and he gets ready to investigate. Captain Stewart stops his officer just to remind him to be careful as the city is depending on him to keep it safe. Dragon assures his superior that he will be careful but he had not been expecting the return of OverLord. He is informed that he is not Antonio Seghetti but OverLord has met him before in his former guise. Daredevil spends a passionate night with Dart before heading out on patrol, letting her know that although the rest of the Little Wise Guys have gone to school, Jock has remained behind to look out for her. Dart is happy for the first time in years but when she catches Jock watching a news bulletin mentioning Dart’s killer status, she kills the youngster. Jock’s corpse is disposed of and the crime covered, hiding her true nature from her new friends. Vanguard is locked in combat with a Tyrranean who has wandered into the solar system and must be stopped before it transmits a message to the rest of the Tyrrus Combine. Roxanne Wells wears a battle-suit so that she can assist her alien lover but it soon becomes clear that their opponent is too powerful for them to defeat. Vanguard calls out for this fight to end and Wally shuts down what is revealed to be a training session, the hero struggling against one of his Morphlings. Wally lectures his best friend over his failure to defeat even a fake Tyrranean as Vanguard seems more interested in trying to show off for Roxanne. Their conversation is interrupted when a message comes through from Vanguard’s home world of Kalyptus. This general informs Vanguard that the war with the Tyrrus Combine has ended with their victory. All of the vanguard units are being recalled home but Vanguard and Wally enjoy living on Earth too much. It has been years now since Thor has been stranded in Dimension-X and he has been fighting his way from one planet to another in search of a way home. He fights through the guards at a huge dungeon where Thor releases a giant creature called the Trog Monster. Thor reasons that this beast can become his steed, flying him from this planet to Glum World. The story of a group of children getting teleported to Earth from Glum World had been spread throughout this realm. Thor and his new companion arrive on Glum World where their presence is detected by the planet’s ruler. Mister Glum emerges in his battle-suit to confront the intruders, effortlessly overpowering the Trog Monster before attacking its master. 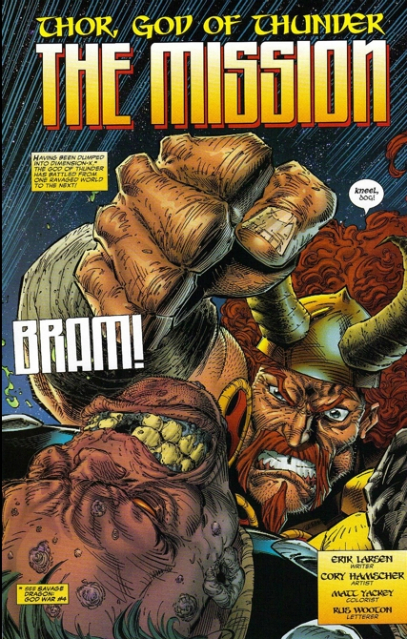 Thor and he fight one another until Mister Glum hears his opponent ranting against his enemies, Herakles and Savage Dragon. Sensing that he is with a kindred spirit, Glum calls for a truce. An offer is made by Glum to transport his foe back to Earth but only if Thor promises to target Dragon before going after Herakles. Thor has little preference over which of his enemies that he goes after first and agrees to the deal. Angel Dragon wonders what is going on but Glum and Thor lie about their alliance and Glum claims to simply be helping Thor return home. G-Man and Billy Demon are searching for fragments of G-Man’s magic cape and locate one of the pieces, turned into a bracelet that is wrapped around a super-freak. Fangral is locked in combat with Dragon when the youngsters join the fray. They accidentally allow the villain to land a free shot on their ally before Dragon delivers the knockout blow. He had hoped to take the bracelet with him as a piece of evidence but Billy Demon grabs it before he and G-Man fly away. Fighter jets are sent into the Pyrite Gorge region to join the fray but Ethrian destroys them just as easily as he had done the helicopters. The Ethereal Warrior is then suddenly gripped with pain before plummeting out of the sky where he is later found dead. Valerie Brisbane wakes up from a dream that featured this war in the past. She speaks with Chuk who explains that he is the watchdog of the Powerhouse entity which has been dormant up until recently. It was only through Valerie’s connection with the tower that Powerhouse woke up as it had not been active since Ethrian’s death. The only clue that it still lived in some form was that Ethrian kept getting resurrected after each new death at the hands of the military. The army has been studying their alien captive for years now which means that Chuk has to protect the tower by himself, relying on security systems such as the fog and other means. Daredevil is tucking his young companions into bed but is pressured into sharing his origin story with them all. The Little Wise Guys are thrilled when he agrees, going back several years to when he was a mere five weeks old. At that point, his father was a wealthy businessman who owned a gold mine in the Australian wilderness that was apparently having problems. A telephone call from his brother-in-law, Edgar, reveals to a concerned John Hill that all of the gold supply has been exhausted. Refusing to sell the mine without inspecting it himself, he set off for Australia and was joined by his wife and son on the trip. The family went into the mine where they were to be killed by an explosion set off by the scheming brother-in-law. Edgar claimed ignorance of the event and began taking them home in his car which he then claimed had run out of petrol. He then convinced a tribe of pygmies to murder John Hill by tricking the innocent-thinking natives into thinking their victim was a bringer of doom. They then went for the terrified Mary Hill who hid her infant child before taking her own life. The tribe’s former leader discovered the child and raised him as his own, training him into becoming a skilled athlete and tracker. As the elderly man neared death, he revealed documents that contained all of his adopted son’s true identity. Bart Hill finally knew something of his origins and he deposed the current chief, taking his ceremonial costume for himself. Bart Hill returned to the United States where his father’s lawyer Jack assisted him in reclaiming his family fortune, at that point now firmly under the control of Edgar. The lawyer was killed in an assassination attempt on the teenager who then went back to confront his uncle, donning the tribal costume. His scared relative ended up killing himself accidentally and the family estate was returned to its rightful owner, allowing him to go through school and eventually become the vigilante Daredevil. Kurr checks on the progress of a more devastating weapon that would leave Earth less hospitable to his people but will accomplish his plans of conquest quicker. One of the scientists, Lorella, questions the wisdom of not having more patience so as to better enjoy their new home. Kurr reacts badly to this and would have raped and killed her had Rech and Weiko not summoned him away to show them their progress.